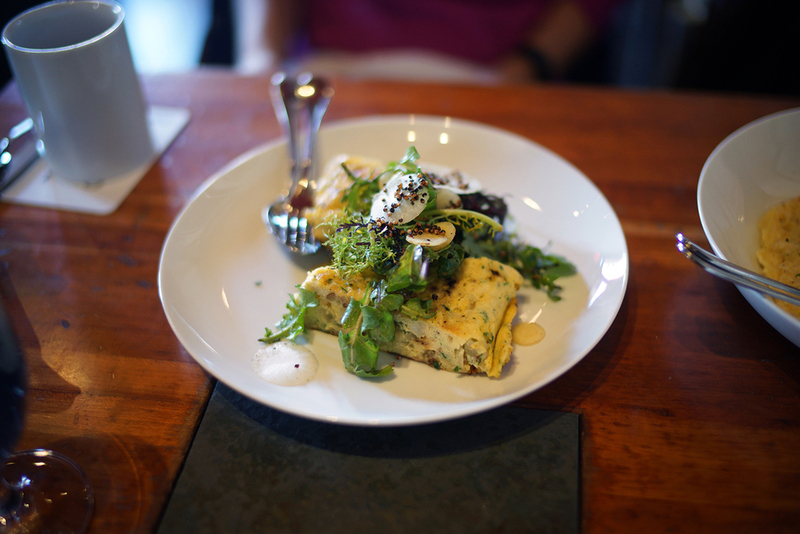 I recently had the fortune of enjoying a delicious brunch with two of my favorite people at Hearth, a restaurant I read about in Timothy Ferriss’s book, the 4-Hour Chef. In the book, Timothy emphatically describes the culinary prowess of Marco Canora, the chef-owner of Hearth and Terroir. After seeing many positive reviews about their brunch, I booked a table shortly after the new year. There was still snow on the ground when Anna and I stepped out of the cab. We were running 10 minutes late and Miho had already texted that she was close by. We gingerly stepped over newly formed slush puddles, a result of New York’s bipolar weather. The entrance to Hearth isn’t where you think it is. The correct entrance can be found around the corner on 12th street. The first thing I noticed was a beautiful bookshelf filled with cookbooks, memoirs, and Marco’s book, Salt to Taste. Miho arrived late after getting confused with the wrong door. Pretty standard. After the three of us settled down and placed our orders, I looked around and saw many menus from famous restaurants around the world hanging on the wall. Naturally, the menu next to me was from Sukiyabashi Jiro. Below is an accompanying letter. After my fanboy moment passed, we were treated to a delicious chai latte drink that filled the area with a spiced aroma and warmed our bodies. The first course was apple cider donut holes which were recommended by yelpers. The dish didn’t disappoint - the aroma of caramelized apples made me swallow hard as I brought the first donut to my mouth. Warm flecks of apple greeted me as the donut flaked apart. The dusting of sugar was a nice touch that made us hungry for more. The veal and ricotta meatballs were satisfyingly juicy and the cheesy polenta was creamy. Simple, rustic, what more could you ask for. I was glad when Miho selected a healthy vegetable frittata since my resolution was to refrain from meat twice a week for the month of January. Miho wrote an inspiring article that was published on HuffPo which focused on monthly resolutions and keeping your friends accountable. Since joining her resolution club, I have been called out by her when I post instagrams of pizza. I think it’s great - keeping each other accountable is the only way to stay on track. Fear is a great motivator. You do not want to be the only person who failed when everyone sends out their end of month updates. Anna also shared about her past and future projects. Her 2013 passion project, Pointe of View, was a resounding success backed by Kickstarter. She was able to photograph ballerinas all around the world and ended up publishing a book and calendar. 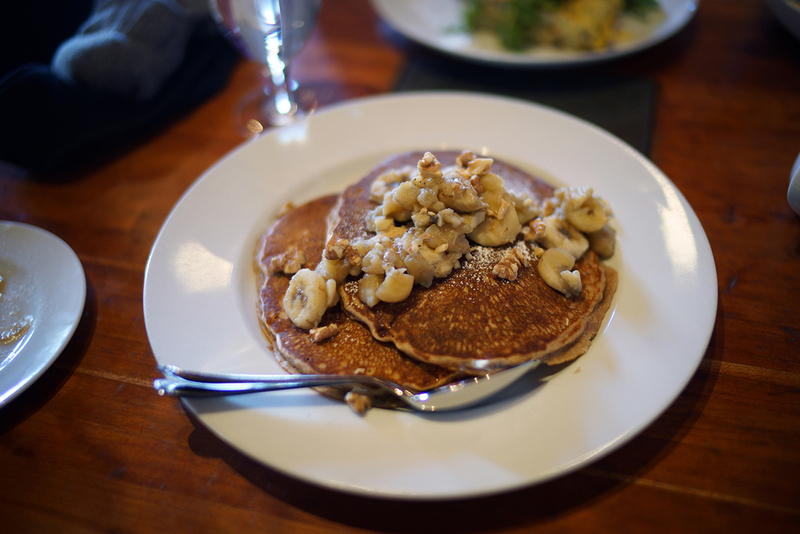 We continued talking about resolutions and goals for 2014 but were distracted a few times by the fluffy buckwheat ricotta pancakes with banana, walnuts, and maple syrup. 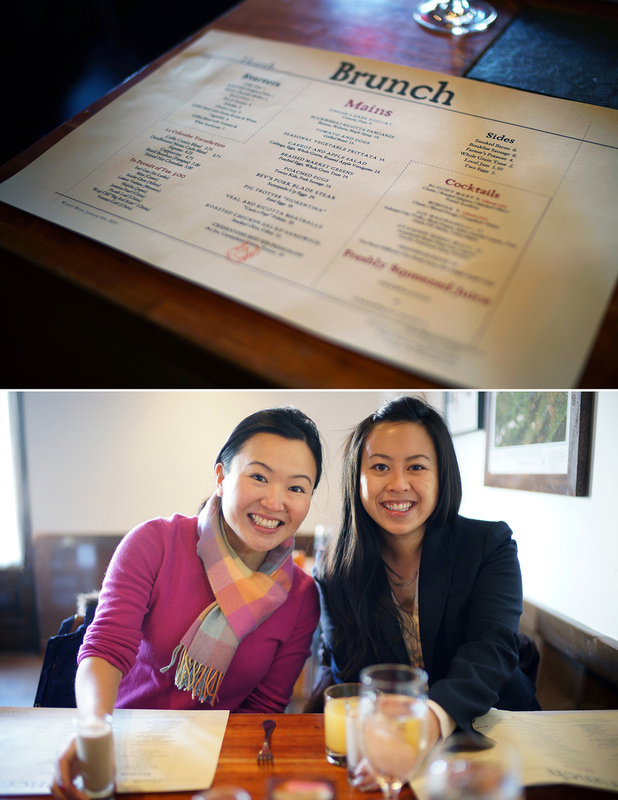 The service and brunch was great and definitely warrants a trip back to check out their dinner menu. Get: apple cider donuts and meatballs. I hear the pig trotter is delicious too.